I feel silly sharing this light version of mac and cheese now because I just got back from a trip to Vancouver, where I stuffed my face every day. But it's probably a good thing that I was eating lighter food like this before I left, and it's probably the reason that I can still manage to button my pants. If you have no problem buttoning your pants, feel free to use more cheese than I did to make it more similar to typical mac and cheese, but I really enjoyed this version. Bring the water to a boil in a large saute pan over high heat, and then stir in the macaroni and let it cook for a few minutes less than the package directs (I cooked it for 7 min), stirring frequently. Reduce heat to medium-high and add chicken and cheese, stirring until cheese is melted. If the sauce is very thin, add the starch and water mixture. 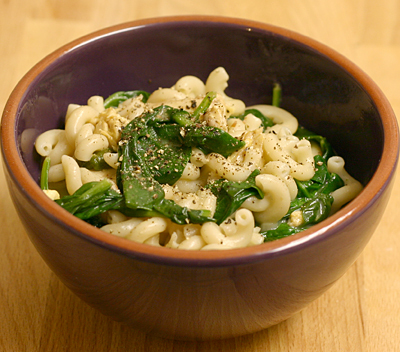 Then add the spinach and continue to cook for a couple of min, until the pasta is tender and the spinach is wilted. Grind black pepper on the top. Serves 4. 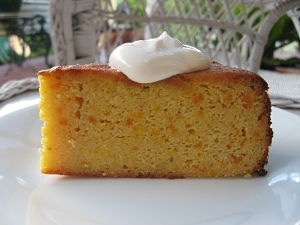 This cake sounds delicious, and is made with only a few ingredients. I was excited to find that it's gluten-free, too (it's made with ground almonds). 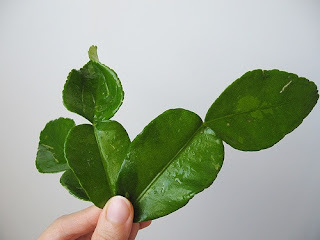 This post includes great information about how to find, store, and use Kaffir lime leaves, and an example of a dish that uses them (Thai shrimp cakes). 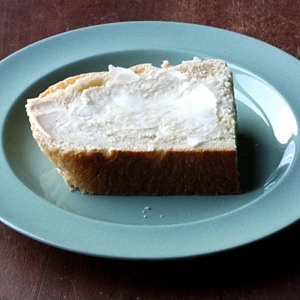 This bread uses cooked oats, and sounds delicious! 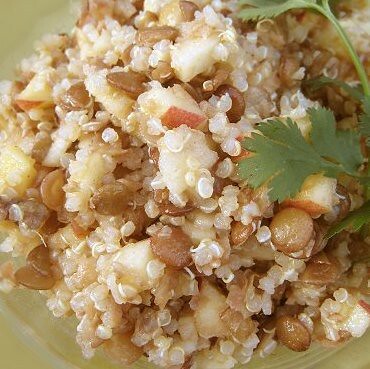 This recipe sounds like the perfect combination of grains, legumes, and fruit. The stew includes lamb, potatoes, and green beans, and would be a great winter dish. 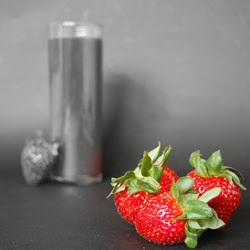 In addition to step by step instructions for making the gazpacho, this post also includes information about the health benefits of eating strawberries. 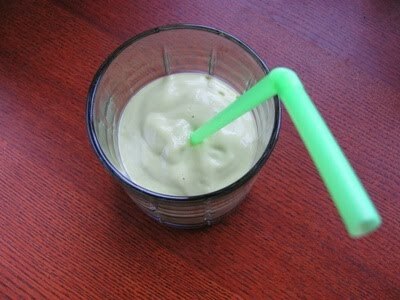 This milkshake sounds like it will be a great beverage for staying cool this summer! 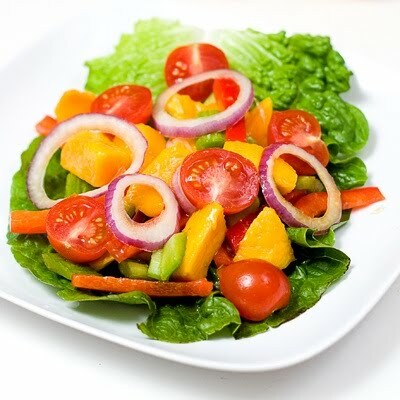 This salad combines mangoes with a lot of fresh vegetables for a tasty-looking salad. I can imagine any kind of fruit would be great with this pudding. 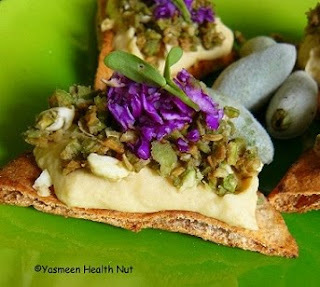 I've never tried green almonds, but this sounds like a perfect way to top pita bread! I've never had tazziberries, but they sound like an interesting combination of all kinds of delicious fruits. 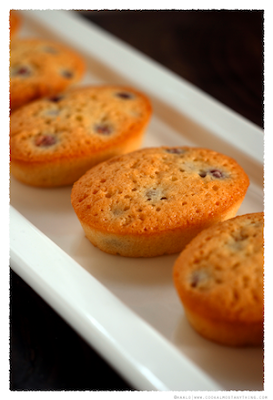 These gluten-free friands sound like the perfect way to try them! This sounds like a great way to use strawberries as the begin to appear in the markets. 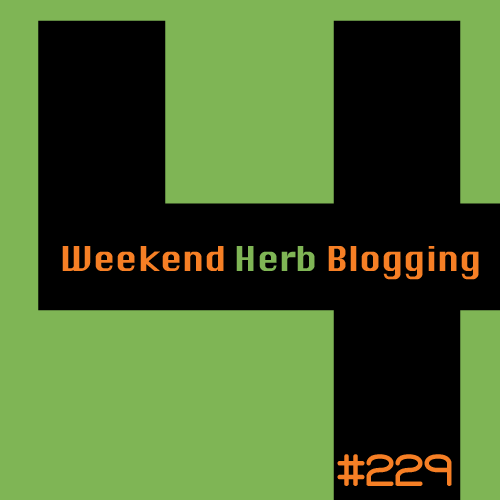 Thanks to everyone who contributed to WHB this week, and please let me know if I made any errors. 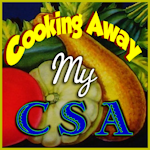 Next week, Winnie from Healthy Green Kitchen will be hosting, so send your entries to her (see complete WHB rules). How have I never shared this recipe? It's one of my all-time favorites that I make more than any other recipe. In fact, I think I tried this method the very first time that I cooked butternut squash (sadly that was in the last couple of years). It's so easy that I hesitate to even call it a recipe, but it's always fantastic. 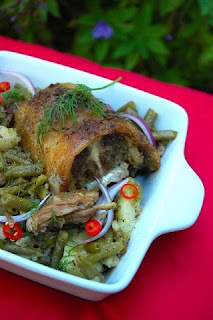 I made it for Thanksgiving two years ago and took it to my program's holiday party a few weeks later, and I got many requests for the recipe. In fact, it was even requested for a Desperate Dinner cookbook that one of my friends put together (my first few years of grad school, a group of us got together for dinner and Desperate Housewives every Sunday night). Any time I have a butternut squash lying around, there's a good chance that it will be used for this very recipe. The best part about roasting winter squash is that it caramelizes and almost becomes a dessert. Thyme is one of my favorite herbs, and I think it pairs beautifully with the sweet squash. Sometimes I add Parmesan, sometimes I don't; it's great either way, so you can't go wrong. I'm submitting this dish to Weekend Herb Blogging, which is organized by Haalo from Cook (almost) Anything At Least Once. I'm hosting WHB this week, so send me your entries by Sunday! 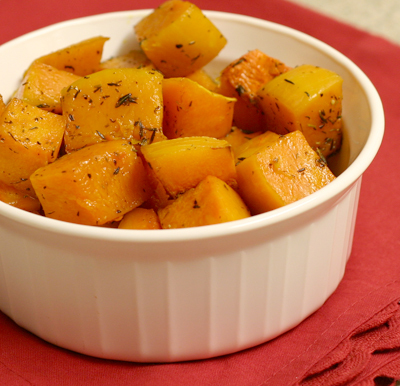 Spread the squash cubes out on a baking sheet, drizzle the cubes with oil, and sprinkle with thyme, salt, and pepper. Rub the squash around with your hands so that the cubes are coated in oil and the herbs/spices are distributed evenly. Roast at 450 for about 45 minutes, stirring occasionally, until squash is tender. Sprinkle squash with Parmesan if desired. Serves 2-3 (if you can resist eating it all in one sitting). Last night I was reminded why I cut back my consumption of processed food. Michael Pollan gave a lecture on campus, and he came on stage with bags full of groceries that he picked up at Meijer (he got extra points in my book for making fun of Meijer!). He had boxes of sugary cereal claiming to be health food, fat free yogurt with more sugar than the full fat counterpart, and splenda with fiber. But the one that caught my attention was the Tropicana Healthy Heart orange juice. Sounds innocent enough, right? Well, it contains tilapia, anchovies, and sardines. I almost gagged. Guess who will not be drinking store bought orange juice for a long time. I would rather drink juice that I've squeezed myself (or at the very least has no sea creatures in it). And I'll eat my fish with a fork, thank you very much. 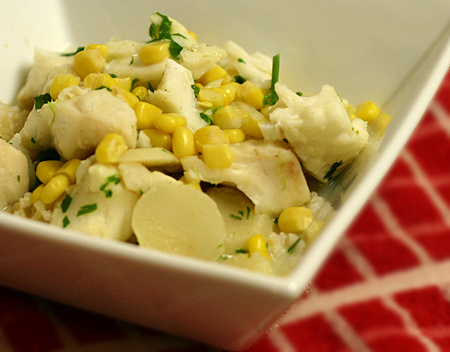 Here's a great recipe in case you need ideas for ways to eat fish in its solid form. I did have trouble finding a firm white fish that's sustainable but still affordable, but I finally came across cod from the U.S. Pacific, which is at least a "good alternative" according to the Monterey Bay Aquarium's standards. The flavors in this dish were mellow - I suggest adding a minced jalapeno if you're looking for something more dramatic - but I enjoyed it nonetheless. The crunch of the water chestnuts was the perfect contrast for the flaky fish, and I wouldn't recommend making this without them. It doesn't necessarily live up to "real" Thai food, but considering that it took about 10 minutes to make, it was a great substitute. Combine coconut milk, water, fish sauce, curry paste, and sugar in a large saute pan, and bring to a boil. Then stir in the corn, water chestnuts, and fish, making sure that the fish pieces are almost completely submerged in the sauce. Cover the pan, reduce heat to medium, and cook until the fish is cooked through (about 4 min), stirring occasionally. Stir in the cilantro and lime zest, and serve over rice. Serves 4. Place the peppers on a baking sheet and roast at 500 for about 10 min, or until the top is very blistered, and then turn and cook for another 10 min. Then put the peppers in a paper bag, close the bag, and let sit for 10 min. Finally, remove the skin and seeds from the peppers and chop them well. While the peppers are resting, place the tortilla halves on two baking sheets, mist them with olive oil, and bake for 6 minutes at 425. Then set them aside while you prepare the remaining ingredients. If using fresh spinach, rinse it and then place it in a large skillet and cook just until wilted, then set the spinach aside. If using frozen spinach, cook it according to the package directions. Next, heat the oil over medium heat in the sauce pan, add onions, and cook until tender. Then stir in the chopped poblanos and cook for a couple of minutes. Set this mixture aside. Add more oil to the pan if necessary, and then stir in the garlic, cook for a minute, and add the beans. Place a spring-form pan (I used 8 1/2" pan, but bigger is better) on a baking sheet, and spray the bottom and sides with olive oil. 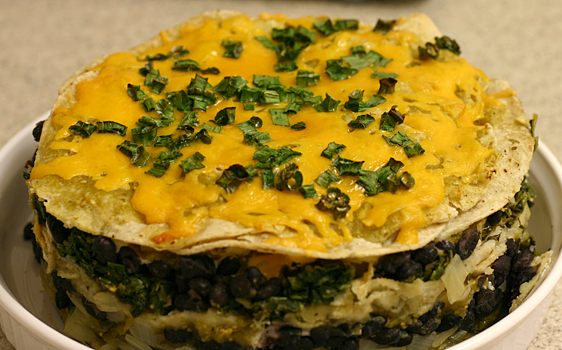 Layer 12 tortilla halves on the bottom of the pan, and then add the poblano mixture, half of the bean mixture, 1/2 cup yogurt, 2/3 cup salsa, and 1/2 cup cheese. Repeat these layers substituting the spinach for the poblanos. Then top with the remaining tortillas, salsa, and cheese, and top with green onions. Bake at 350 for about 45 minutes, then let cool for 15 minutes before removing the ring of the pan. Serves 6-8. This isn't a very photogenic meal, and it may not be for meat lovers (if my dad's reaction is any indication), but I think it's a great example of a quick, easy, filling, and tasty dish. I made this last week (the day of my panic attack, in fact), and it was great to have a delicious meal that required so little effort (without having too many pre-packaged ingredients). It's not going to win any awards, but it's enjoyable and perfect for a crazy day. That's what I love about this book, Lorna Sass's Whole Grains for Busy People, and I've decided to make it the cookbook of the month because I want to make more of these recipes. Thus far the recipes I've made have been very solid; if you want something amazing, go for her Whole Grains Every Day, Every Way, but if you want something quick and very good, pick up this book. This was also a great way to use up some of the cooked hominy and beans that are hanging out in my freezer and need to disappear before I move this summer! Heat the oil over medium heat in a large saucepan. Add the onion and cook until it's tender, then add garlic and cook an additional minute. Stir in chili powder, cumin, oregano, and cinnamon and let cook for a minute. 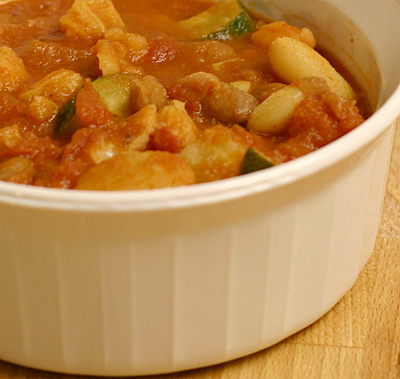 Add tomatoes, hominy, both kinds of beans, zucchini, and water (if you need additional liquid) and bring to a boil. Then cover the pot, reduce heat to medium-low, and let simmer until zucchini is tender (about 15 min). Remove from heat, add cilantro, and season with salt and pepper. Serves 6. It's over. The past five years have culminated in about two and half hours of torture. Ok, that's not true at all. The anticipation was torture, the actual event was rather anti-climactic (I had been warned that this is how it typically unfolds, but didn't believe it until today). 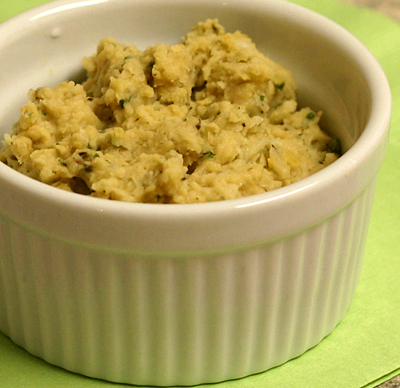 But either way you look at it, I now have a Ph.D. To help ease my nerves yesterday afternoon, I decided to make some snacks for my committee, including this white bean and garlic dip. This dip went over extremely well, and I'm a big fan myself (even though I could barely eat anything for most of the day). The big bowl of dip was almost entirely gone, and Mom and I may fight over the small amount left over. Remove most of the outer skins from the garlic head, and cut the top off of the head so that the top of the cloves are exposed. Place the garlic head in a piece of foil, drizzle it with a bit of olive oil, wrap it up in foil, and bake for an hour at 300. Once the garlic is soft, let it cool for 10 minutes. While the garlic is roasting, combine the thyme, sage, and cumin in a small skillet over medium heat, and toast until they become very fragrant (about 5 min), stirring frequently. Squeeze garlic cloves out of their skin into a food processor, and also add toasted herbs/spice and all other ingredients. Process until smooth, and season with salt and pepper. Makes about 3 cups.